liability as well as your current and projected financial status, we determine which of these installment options best suits your specific needs and then follow the application process through until the final payment plan is in place. 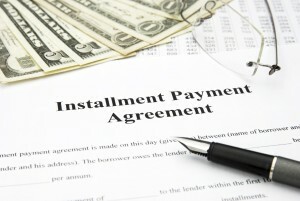 Our professionals will make every effort to negotiate a payment amount that you can afford to pay. Click the “Learn More Link” or Call (877) 889-6527 to have one of our tax professionals provide a free consultation regarding setting up an Installment Agreement.